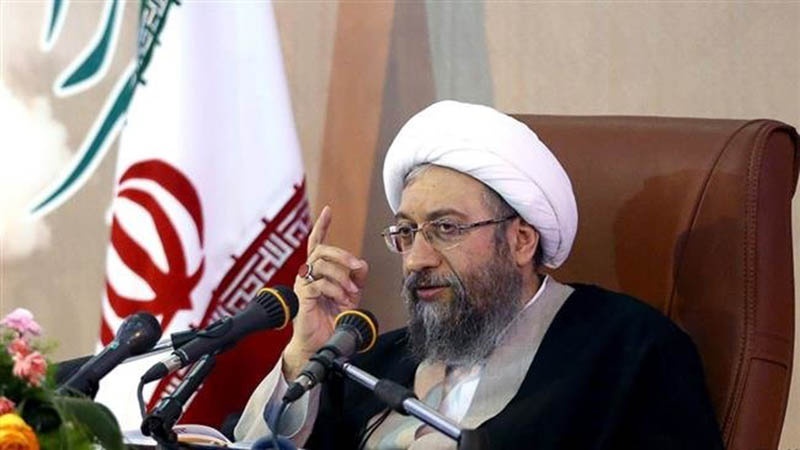 Iran’s Judiciary Chief Ayatollah Sadeq Amoli Larijani says the Islamic Republic will never give in to humiliating conditions set by Europe for the enforcement of its new non-dollar mechanism aimed at facilitating trade with the Islamic Republic. The European signatories to the 2015 nuclear agreement, officially known as the Joint Comprehensive Plan of Action (JCPOA), issued a joint statement on Thursday, announcing the launch of a long-awaited direct non-dollar payment mechanism meant to safeguard their trade ties with Tehran following Washington’s withdrawal from the nuclear deal and in the face of the “toughest ever” sanctions imposed by the United States against the Islamic Republic. Following months-long preparations, the foreign ministers of France, Germany and Britain finally unveiled the mechanism, officially called the Instrument in Support of Trade Exchanges (INSTEX), after a summit in Bucharest, Romania. They have asked “Iran to join the FATF (the Financial Action Task Force) and start negotiations over its missile program,” before INSTEX enters into force, he added. “These [European] countries must know that the Islamic Republic of Iran will by no means accept these humiliating conditions and will not give in to any demand in return for a small opening [in sanctions] like INSTEX,” Amoli Larijani emphasized.